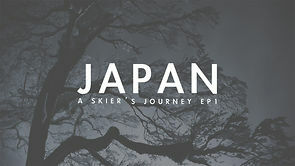 Japan: A Skier’s Journey EP1 S3 from ARC'TERYX on Vimeo / YouTube. Follow skiers Chad Sayers and Forrest Coots through Japan as they explore a world of contrasts. From Tokyo’s city lights to Hokkaido’s sacred hardwood forests, this episode explores spaces of simultaneous anonymity & intimacy, rigid tradition & an embrace for the future, finding epic powder each step along the way.